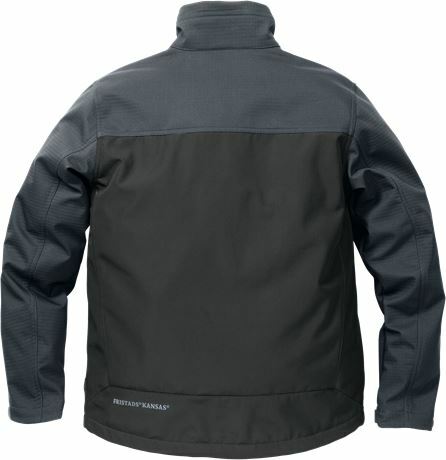 Windproof and waterrepellent softshell jacket in durable stretch material with high colour fastness. The colours are aligned with Kansas industry garments, making them easy to mix and match. 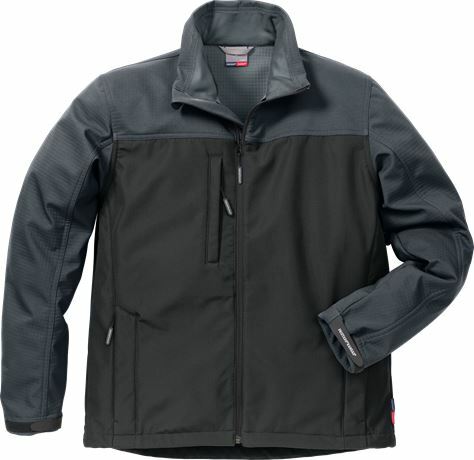 Material: 86% Polyester, 14% Polyurethane. Breathable, wind and water-repellent / Two-coloured / Stretch quality / brushed inside / Reflective print of Kansas logos / 1 chest pocket with zip at right front, mesh pocket bag / 2 front pockets with zip, mesh pocket bags / Adjustable drawstring at hem / Adjustable cuffs / OEKO-TEX® certified.